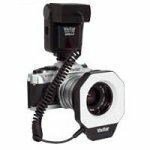 The Vivicam 3745 is an affordable choice for anyone seeking a compact, versatile, high-quality digital camera. 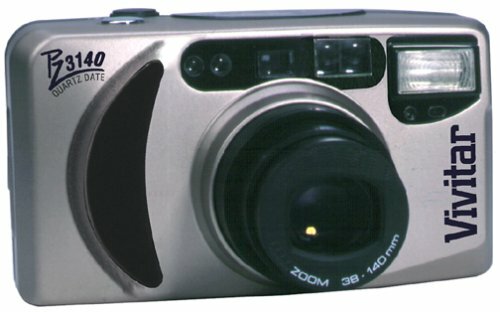 The 3745 is a 3.3 megapixel digital camera with 3x optical zoom, 2x digital zoom, integrated flash, and expandable memory. The 3745 can be used to capture short video clips and as a PC Web cam, providing live video to your PC via USB connection. It also comes with 8 MB internal memory and can be expanded using S optional Secure Digital (SD) D memory cards. The 3745 offers imaging versatility, with the ability to select from two resolution and three quality settings. Still image resolution may be set to either 2048 x 1536, or 1024 x 768 while Motion JPEG video clips are captured at a resolution of 320 x 240 in AVI format. Video clips captured with the 3745 can be recorded to the extent of available memory. The 3745 comes with both USB to download images for viewing and/or editing as well as a video output cable to view images on your TV. Users of Windows Me, 2000, or XP or Mac OS 9 and higher will enjoy native support for the 3745. Simply connect the 3745 to your computer and access your images immediately--no drivers or software are required. I purchased this camera on Fry's Electronics. For $99 . Pros: Cheap. Easy to use. 2) USB port and software for easy transfer pictures to your PC ; 3) 3.5mm jack to RCA video out for you to view direct Camera Picture to your TV . 4) Camera with full Auto focus came with 3X digital, 2X analog zoom. 5) 1.5 LCD screen on the back of the camera for easy monitor your picture . 6) Auto Flash for eliminate red eyes . 7) The camera also allows you to take 1 minute video without sound in with the Internal 16 MB SD Card in Quicktime format. 8) If you don't want to spend money for the Battery eating Camera , this 6 Volt Input is easy to use with Power supply adapter for Indoor use (easy to find this kind of 6 Volt Adapter 1000mA in the Market compare to other Camera jack only 3 Volt . This 6 Volt Adapter is very useful , For OutDoor use, I bought the Input Jack at the Radioshack store and connect to the 6 Volt lantern battery 10 Ah (cost $2.5 at WalMart) thru 2 small wires, You could take up to 100 Pictures , this could save your $$$ for the 4 AA Battery that won't last for 20 pictures . You could find an 6 Volt rechargeable Battery to use as your Camera's power source is the best . Remember all Digital Cameras are Battery Eating . 9) Picture is ok, about 85%-90% compares to other expensive Camera at 3.3MP. 1) 4 AA Batteries won't last for 20 Still Pictures if you use the LCD , with the LCD turn off you could take up to 85 Pictures. 2) The Video movie look fuzzily like an old-time 8 millimeter Camera ( This only extra Bonus for still Camera ). 3) Picture little darken compare to expensive camera but it OK for me , I could fix this (Brighter) in 3 seconds with VuePro software or other software that included with the ViVitar 3745 Package . I bought this camera because it was marked down as an open-box item. This is my first digital camera. After I got home with my new purchase, I read the previous user reviews and my heart sunk. This camera works best with a set of high capacity Ni-MH batteries. This is clearly stated in the Vivitar web site. So equipped, the camera takes fine pictures. The controls are simple to learn and use. The delay from power-on to "ready" is about 3 seconds, it takes about a second to focus and process a scene; both are short by digital camera standards. The software is easy to install and performed flawlessly on my Windows ME machine. When the batteries are low, the camera may hehave sluggishly or turn itself off unexpectedly. With good batteries, it performed flawlessly. You do not -- repeat: NOT -- have to re-enter the date & time each time you change batteries. I don't know what the previous reviewer is talking about. The pictures are fine. There is a web site which has test shots from nearly every camera ever made. Go there and check out this camera's pictures. I don't want to keep harping on the previous reviews, but he/she definitely left erroneous impressions. Not only that, he/she also gave the same (erroneous) reviews at other sites, making me suspect a personal agenda. Check out this camera for yourself. 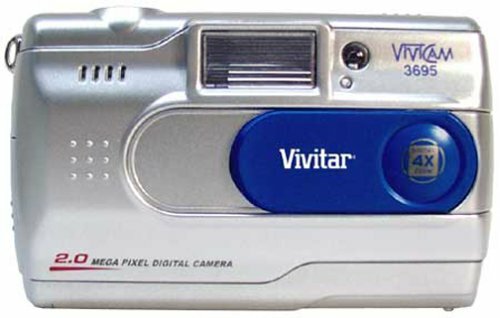 Vivitar has made decent and affordable cameras for decades. 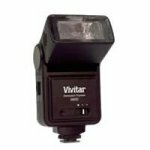 Vivitar may not have the cachet generated by expensive advertisements and endorsements, but its products are solid. This is a good camera for the money. with trepidation i took the step going from a 35mm cannon eos with multiple lenses to this. the lcd screen washes out in bright daylight and the optical viewer is not totally accurate. you need to practice using it to establish the picture zone. holding such a small camera takes some getting use to. only a few times would the shutter not release and this may be to my inexperience and the camera's need to recycle for the next shot. so far, these are the only negatives i have. battery life is excellent using 2300ma metal hydride rechargeables. at the highest resolution a 256mg sd card holds over 250 pictures. picture quality at the automatic setting has surprised me as being excellent. this is basically a point and shoot unit.although manual settings are available i have not even bothered to try them. overall, this is a very good unity and will be handed down to a family member. this has convinced me digital photography is here to stay & now i want to get a camera with a 10x optical zoom lens. This is my 1st digital camera. After trying and using several at work, Cannon, Sony, Olympus, I thought I was a genius for getting similar specifications at a discount price. oooops!! At times the camera is fine, turn on, let it buzz, point, wait, shoot. Other times, forget it. No picture. No way, nothing will let the shutter snap. In broad daylight. Useless for action pics. Useless for important shots, as you never know when it will function properly. Also, it will not recognize some media cards, and it randomly stores images on the built in or the card memeory. Again, no logic. I say pay a few more $ and get a Fuji, Olympus or Sony. I am not happy at all with my new camera. Easy to use but the quality of the image is quite low. Sometimes the commands are not responding at the first push button. Bought the 3695 as my first digital camera a couple of months ago and I must say I'm very pleased with it. I needed a camera mainly to take pictures of my newborn baby and after much research (and lots of web surfing), decided against the more sophisticated (and expensive) devices on the market. Started using it right away, without reading the manual (at first), and found it very easy to use and understand. 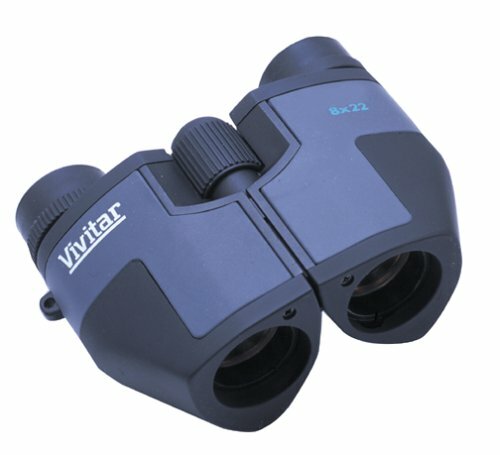 The user manual is too short for my taste and doesn't explain much - don't know if Vivitar's target are beginners or more advanced users who won't need much explaining. My wife is a big fan and uses it every day. We like the fact that you can hook it up to a TV screen and watch the pics you took as a slideshow for the whole family without fussle. The pics are of very good quality, and the colors are crisp. The digital zoom works quite well. One minor gripe is that sometimes the flash is too strong and the subject is over-exposed. 1. My one big gripe is that the LCD visor is useless in a non-lighted environment (theater, disco, dark room). You have to "guess" and shoot. The flash works fine but you won't see your subject. As a webcam, it has the same shortcoming - if the room is dark. 2. The camera sometimes "crashes" as if it were imitating a computer operating system (does it have Windows installed? I have to check that one...). This happens mostly when I try to delete a picture. I found a workaround for this - if you delete it when hooked up to your PC, it refreshes the data on the camera instantly. 3. If your soubject is more than 10 feet away, the flash won't do its work. Not a big issue for me but thought I'd mention it. I haven't compared the 3695 with other devices in its price range so maybe this is normal. We use Windows XP and it recognized the camera without a glitch. The driver package is very easy to install and XP assigned a drive letter after you hook it up it with the USB cable (provided). I tried it also with Windows 2000, but prefer the more friendly and wizard-driven environment of XP. All in all the 3695 is recommended for people who don't have the time (or inclination, or are digital camera first-timers as myself) to learn advanced techie features you won't get to use much in your every day life. It is the first digital camera I've ever bought. The softwares that come with the camera are useful and great. I liked these. Another thing I love about this camera is that it is small, but has many functions. The prize is also great, because you can get horrible cameras for more than this prize. If you get to know this camera reeeaally well, you will always get beautiful pictures. The 2.0 mp is good, but i don't like the images when you zoom in your camera to take a closer shot. Another thing that has to improve is the light captation. Without flash, some pictures look darker than they should. And if you are in a dark place,you can put the flash but on the LCD display you won't see anything because it's dark. This was not a problem to me, though. Life will teach you to know when to use the flash and where to take pictures so that you don't get dissapointed. I don't know if this is a problem with all digital cameras, but it sure is a problem with this one. Save your money and buy something else! 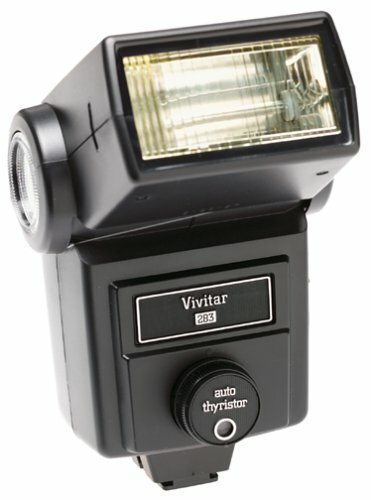 I have been very happy with my Vivitar 285HV since I bought it 2 years ago. What a great inexpensive flash that gives reliable and accurate results time after time. It is being used on my manual focus Nikon FE. I've been using the 4 auto settings most of the time. cost only a fraction of a Nikon SB16. 1) very powerful, big grins on subjects after they hear the loud pop and see the light. This is one big gun. 6) did I say this flash is so affordable? 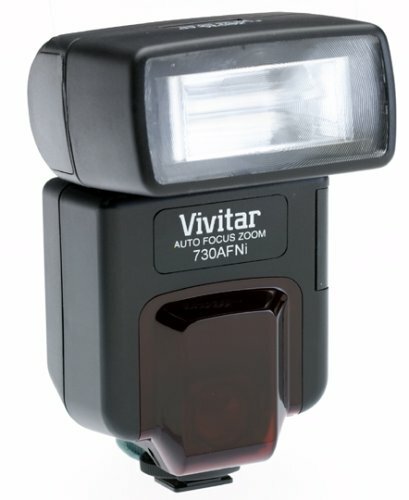 I've been using Vivitar 283 and 285's for years now. I was introduced to the 285 when my backlight died on a Glamour shoot. The style my client wanted was an over exposed background to ad a haze around the subject through the softener1 filter. This required a powerful flash. The only store near the salon was a Carmen's camera and all they had in their used department was this old 285, the man in the store, a professional photographer himself, assured me that with a slave unit on the manual setting this flash would be powerful enough to do the job. He even had an SB-4 power supply and this little plastic display unit, which made a perfect little backlight stand! Not only did this flash recycle in time, it was powerful enough to do the job. This little flash even replaced my Metz for wedding work because of its compact size! I also noticed at the time that many other press photographers were leaving their Metz's at home too! For travelling and backpacking I bring my 283, which is very light and also has the remote sensor feature so handy for close-up work. The 283 also sits nicer on the hot shoe being lighter, making the camera less top-heavy. Which brings me to the only complaint I have with these two flashes.... or many hot shoe flashes for that matter. Shooting at crowded concerts or busy news scrums the vulnerability of the hot shoe is always on my mind, on more than one occasion I have broken this hot shoe and had to order a new one which requires a bit of assembly and downtime. To make up for this -the remote sensor makes it possible to use these flashes off camera even with the broken hot shoe and with the amount of used 283's and 285's out there at good prices, they are still the best darn portable mini flashes I've come across! With an on camera 283 fill light, reflected, a slaved 285 with a reflector on a stand next to the camera and a 283 slaved for a back light and you have yourself a portable studio, but watch out your subject doesn't step on the backlight! This strobe is a real workhorse, if used properly. Take the time to learn the equipment for best results. While the price here is good, other prices can be found with a little searching of the big photo houses. 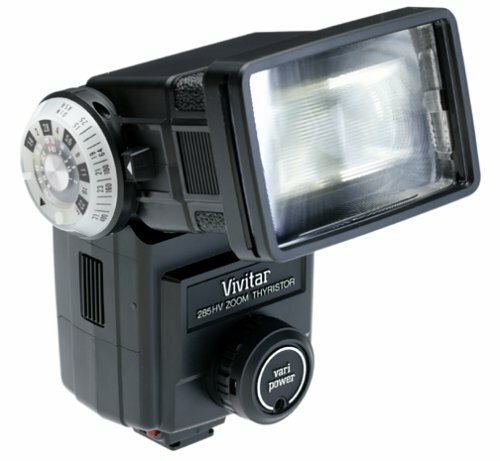 The Vivitar 285 HV is a classic flash, and known for its durability. It has good power and provides accurate exposure. 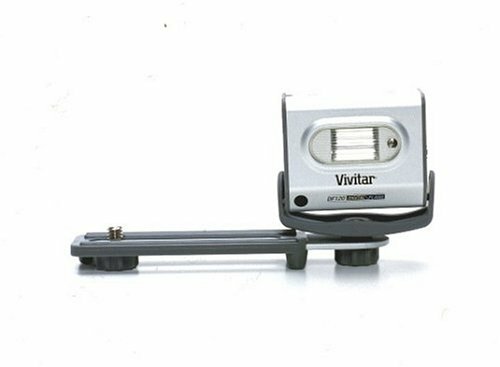 Vivitar 283s made from the late 1990's onward will work fine with Digital Cameras. Only older units from the 1980's and early 1990's have a trigger voltage that sometimes exceeds 300v. Newer units will may function just fine depending on what voltage your camera can handle (again, research). You can test the trigger voltage of the unit by using a multimeter on the shoe pins and triggering the flash with the test button. Much more information can be found via a web search. 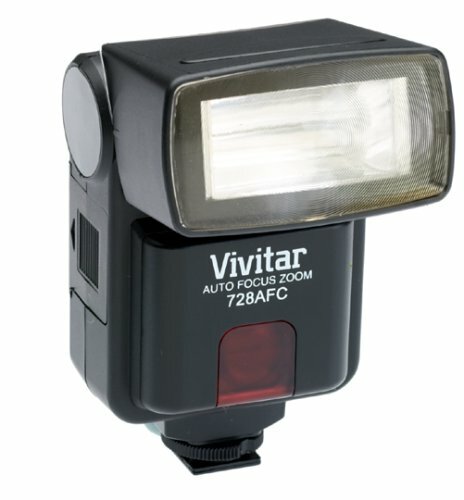 Having played around with photography for 20 years now I am baffled by Vivitar.They produce the 283 flashgun (a good product). Then they produce the 285 with almost the same specs.Except the 283 trigger voltage is over 300 volts and the 285 is 8 volts. Ok if used on the old SLR`s.But what about digital cameras? There are users asking what flashgun can I use on my Fuji 4900 and 6900? I go faint at the thought of putting a 283 on my Fuji 4900. No information is given in the instruction book. So i must conclude with the old saying "Buyer beware"
I have read so many reviews about this flash. I quickly bought two and I fell in love with them. The night photography took a new shape after I replaced built-in TTL (I have a Pentax zx-50) with these ladies. No more unnatural axial light, no more under-exposure. The four auto modes (f/2.8, 4, 8 and 11 for 100ASA film) are easy to set and give enough flexibility to choose DOF. The manual mode is also there for those who want it more technically correct. The weakest point are: 1. its weight compared to most modern compact SLRs; 2. weak foot. Lots of accessories are available in reasonabe price. A real workhorse! The venerable Vivitar 283 doesn't have a lot of the bells and whistles of some other flashes. There's no coupling to the camera's computer and no through-the-camera-lens exposure control. But what you do get is a rugged, powerful unit with automatic and manual modes and a very complete family of accessories. You can get diffusers, auto-triggers, manual power adjusters, remote cables for the auto sensor, AC power supplies... just about anything imaginable. And there are aftermarket accessories, too; I've equipped my 283s with metal replacement feet and a detachable mini-softbox. 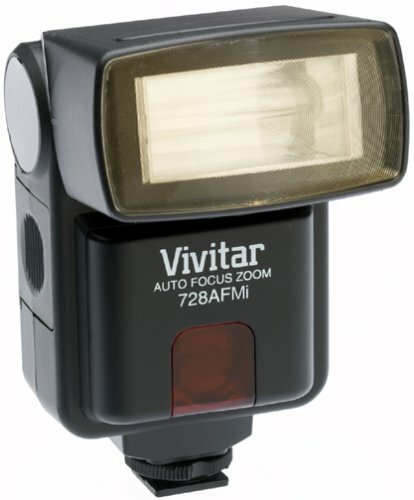 I bought the Vivitar 730AF for my Nikon N70. I work as a photographer for a newspaper, and this flash seemed to be just what I needed, Speedlight auto-focus for low light situations, zoom head, and what I assumed to be partial dedication. However, I was a little disappointed with the performance once I got the flash. First, the camera is not dedicated in any way, which it should be for the price. When shooting photos for an assignment, I tried my new flash and was disappointed when my negatives came out underexposed due to the fact that the camera was not communicating with the flash at all. The zoom head of the flash does not spread the light evenly, causing occasional falloff around the edges and inconsistencies in low light situations. The speedlight worked well focusing the camera, but the other shortcomings do not make up for it. 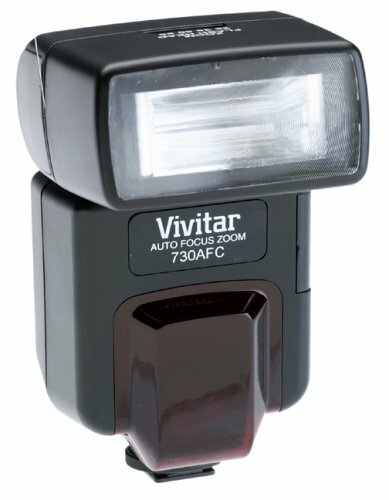 I purchased the Vivitar Auto flash when i ordered my camera last year. It is a great accessory! My pictures come out very clear indoor and at night. I love it! Had the same problem as second reviewer...it POPPED,FRIED, then smelt of burnt plastic/wires after less than 10 flashes. Sadly it was a gift, too. I'll be testing amazons RETURNS performance soon. This flash is not a bad buy. It doesn't have a lot of features but it does the job. The only real problems I have with is that the head doesn't swivel and there are no markings to indicate the angle of tilt (for bounce flash). If you're just looking a separate flash to keep from using your camera flash and running down your batteries than this flash will do. Flash went crazy, tried to fast recycle for no reason and fried itself on fifth picture of first use. Probably a fluke. Amazon is the fastest thing going for a refund. I don't have those first few pictures back to evaluate how good it was as a fill flash that I was using it for outside. 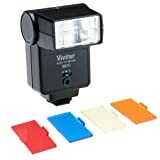 If you are tired of the Minolta pop-up dinky flash, this is the add=on to get. It's excellent and always timely. This flash works fine if you don't want spend lots of money on flash. I had this work good on my Rebel2000 and better than speelite 200e. This is a very nice compact flash that is great for travel. I've used one on a Canon EOS Elan body and had very good results. However, you must keep in mind its limitations when considering it. If you're looking for a flash do to weddings or low light events then this is not your flash. With a guide # of 92 it is best used for outdoor fill flash or when you can get close to your subject. Based on the price I think it's a great little flash if you keep in mind what it was intended for. We own this lens for several years using it on Nikon F70. I was very disappointed with the over-all quality (esp. sharpness) of the lens. Tamron 28-200 lens is supposed to be also on the "lower" end of the quality scale - I tried it once and WHAT A HUGE DIFFERENCE compared to the 28-300. In other word: even the much critized Tamron 28-200 is better. Very likely a 28-300 even with reasonable compromise would unreasonably stretch the budget and perhaps the OEM of Vivitar (Vivitar does not have his lens factory) did the best they could for that money. I am curious, how good or bad is the 28-300 offering from Tamron. 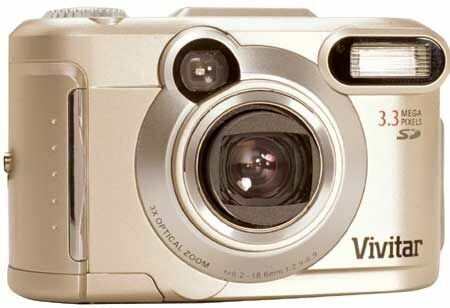 The Vivitar Series 1 IMHO does not deserve the "Series 1" name. I am affraid, in order to cover a long range with better quality one would still need 2 or even 3 lens. Excelent lens for amateur and pro.